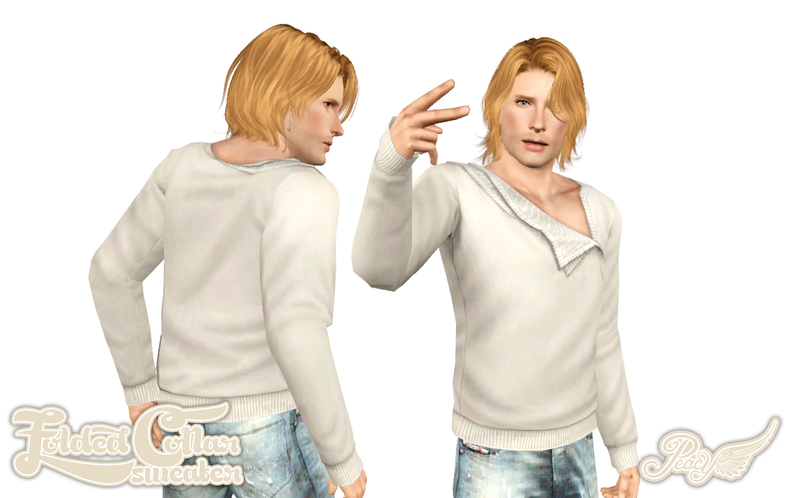 Today I bring you another new top for you adult - adult men for your games. I have done a lot of jackets and more formal tops recently, but I think men deserve some more casual items too. Out of that idea came this sweater. 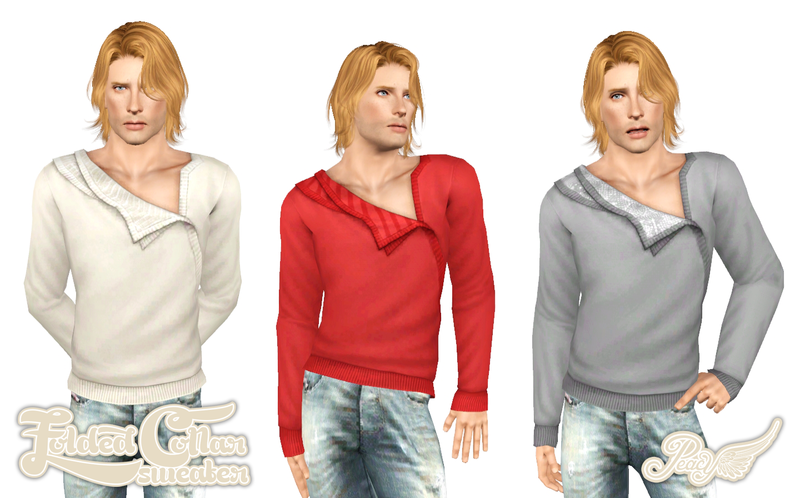 It is a mashup of the v-neck from Outdoor Living Stuff and the folded collar tee from ITF. I meshed them together to give the top you see here. It is one of my favourite tops now (in the red style) and I hope you enjoy it too. Categorised as everyday, formalwear, athletic, and outerwear.